Promoting or marketing a food establishment and the food it serves can be done in so many ways. Some are less expensive than others, but are just as effective. Advertisers do their best to make the food look as tempting and delectable as possible to entice people to buy it. While food advertisements can be done through food flyers. However, distributing them may require time, effort, and a lot of man-power, which is why some prefer using posters instead. 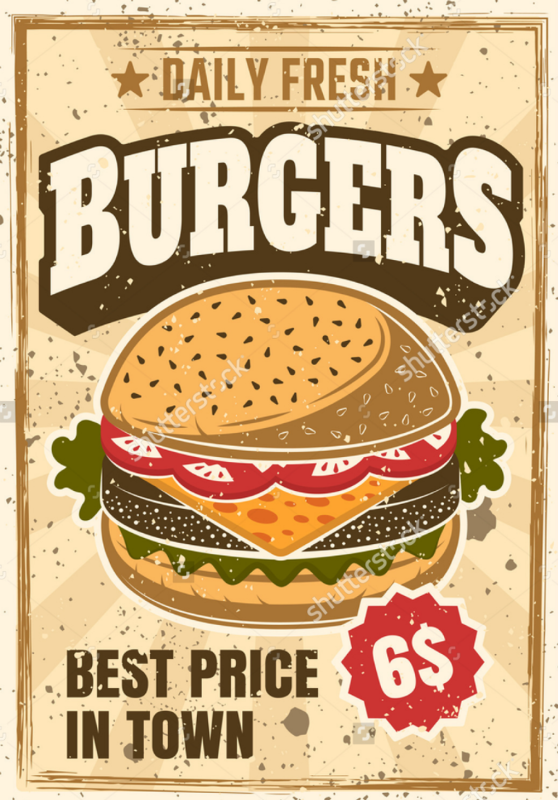 All you need to do is attach posters to surfaces, wait until customers take notice and come in to avail of those food being advertised. 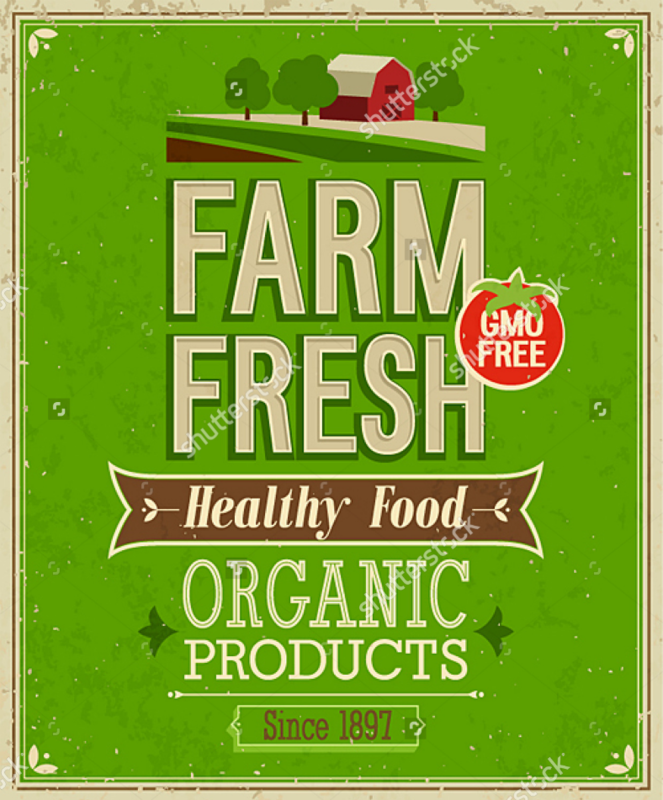 If you are in need of posters for your food business, then check out this page for an entire gallery of mouth-watering food poster designs. 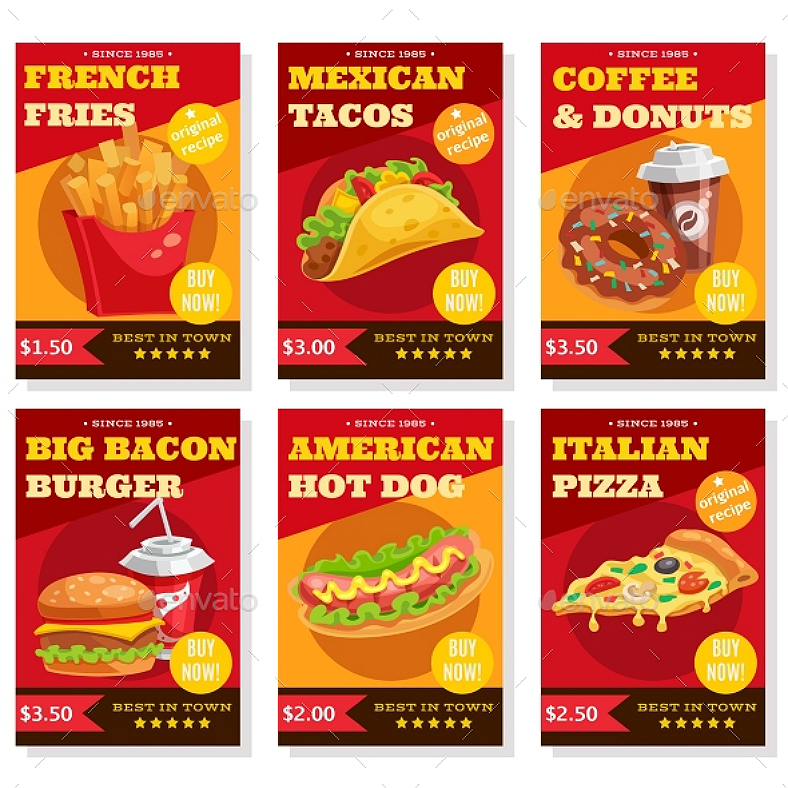 If you are managing a fast food joint, going for this set of samples is the best choice you could ever make. Why settle for just one design when you can have an entire set for the same price? If there are dishes in this set that your place isn’t serving, simply change the food icons, food labels, and prices to the dishes that are available in your establishment. Since we were children, we were always told by our parents to eat vegetables so we would grow big and strong. 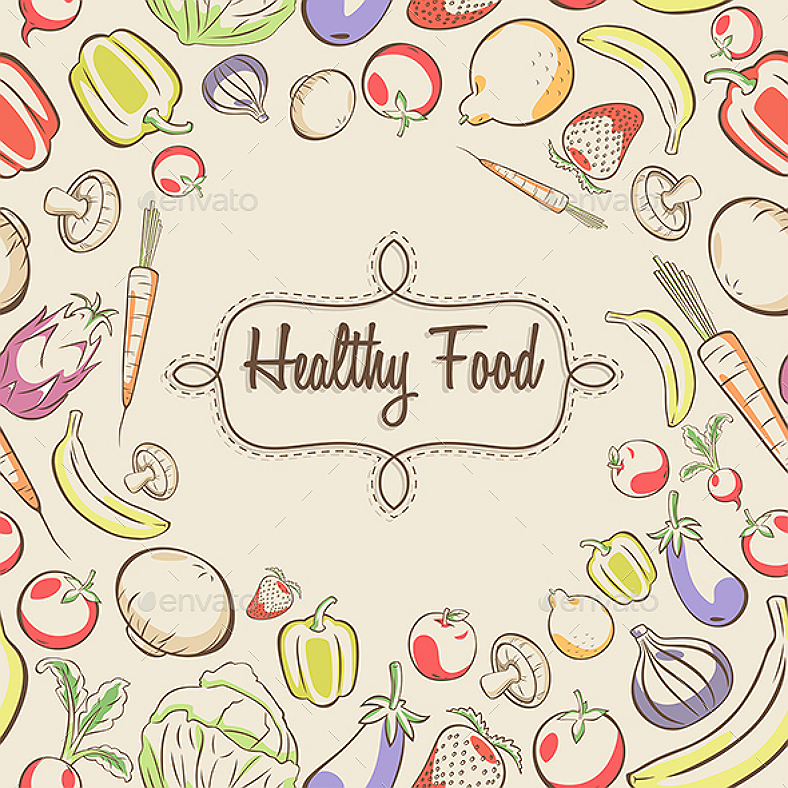 In addition, people who are conscious with their health are usually careful with what they eat. They would only consume food, like fruits and vegetables with only a small amount of meat for protein, that contribute to a better state of health. If your food establishment is into promoting good health by serving healthy food, then this vintage poster is the perfect choice for you. Dumplings, skewers, noodle soup, and fortune cookies! Who doesn’t like Chinese food? Without a doubt, Chinese food is simple and delicious and people from all cultures love them. 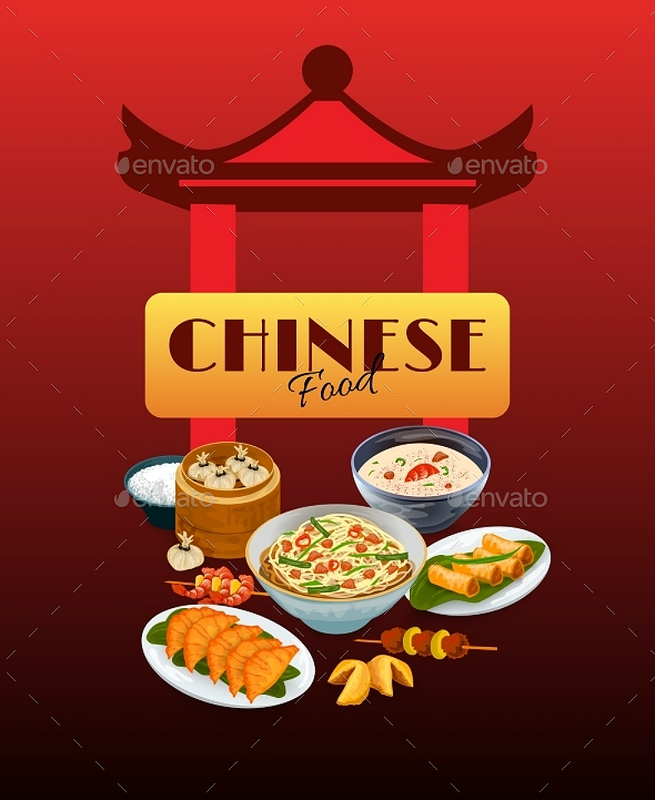 If your food establishment serves Chinese food, whether you are putting your own twist into the dishes or not, this food poster is a great choice for your business. 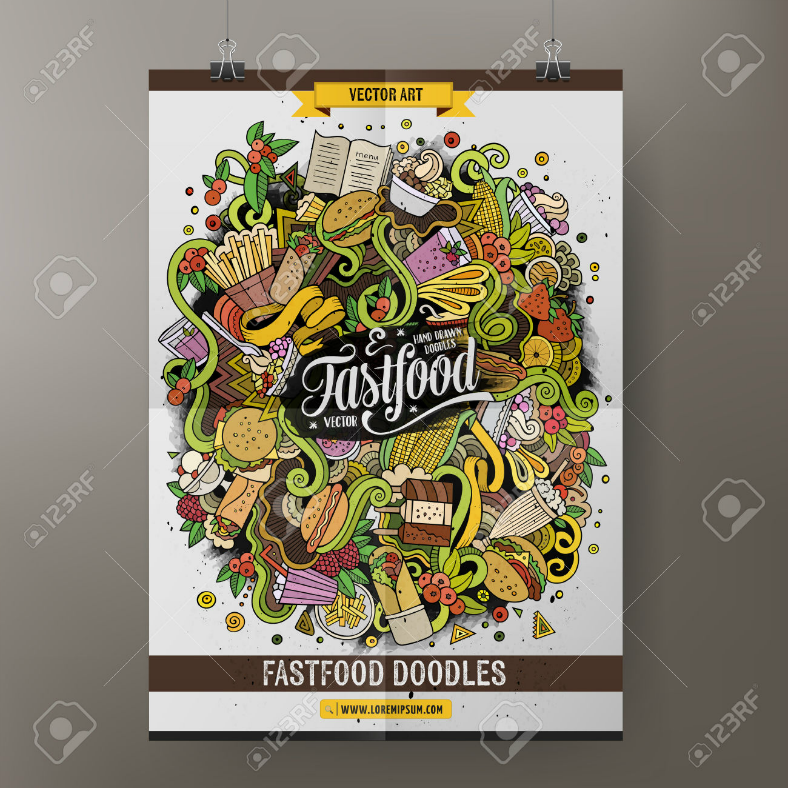 Make your food poster unique by using an abstract doodle out of all the food your establishment is serving. 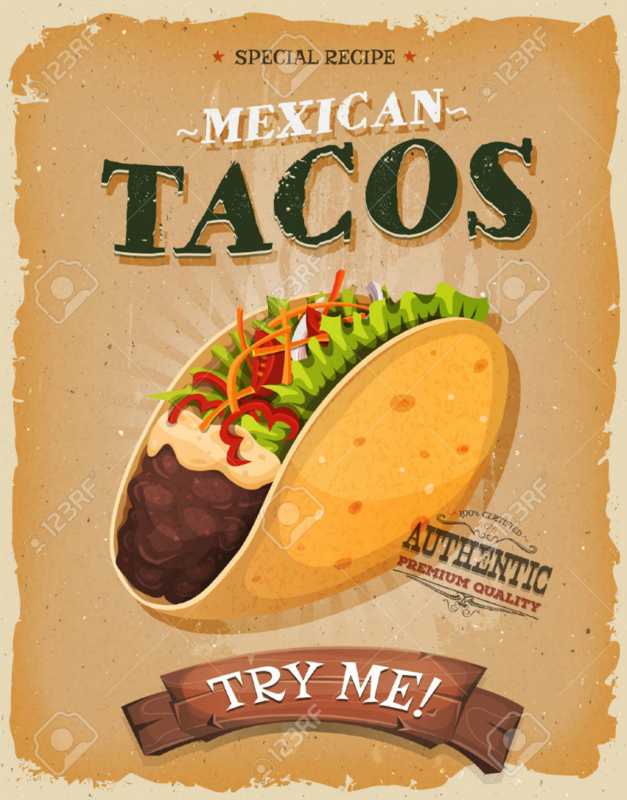 While you might say that the idea sounds bad and the image may look like a pile of wasted food, but if you see for yourself in the sample given above, the abstract art on this awesome poster design is more than appealing to make people want to come to your establishment to eat. Europeans and most of the people from western countries prefer to have bread with their meals instead of rice, like Asians prefer. Bread can also be eaten as a snack between meals. Get a bread slice or two and pair it with a hot beverage, and it’s already enough to feed a hungry tummy. 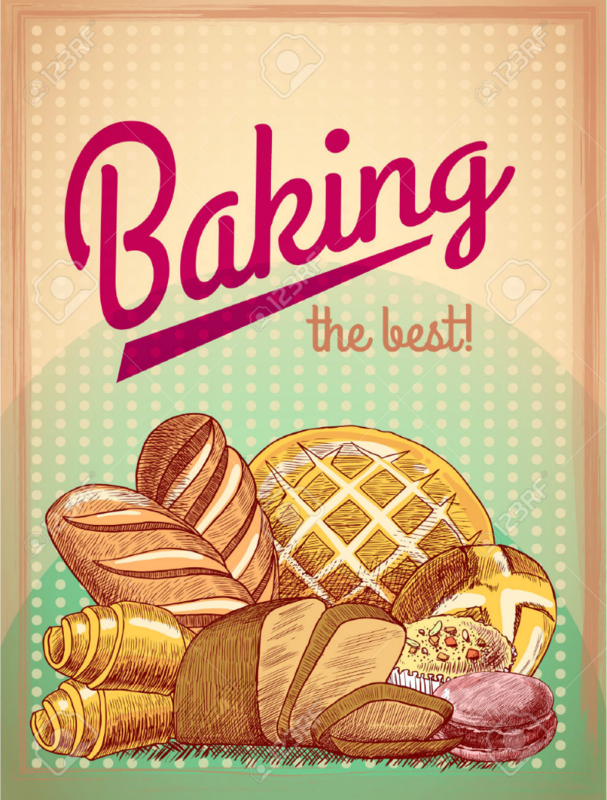 If you are managing a pastry shop and you want to advertise your baked goodies, then why not use our artistic and tasty-looking poster? The food illustrations are more than enough to convince the people how good your pastries are. We are now assuming that your mouths have already watered from all the images of the sumptuous food on our poster designs. If not, then you need to scroll back and look at the images even more. Joking aside, we made sure to pick out the best-looking food poster designs that are sure to cause the stomachs of the viewer to growl from hunger. These creative poster designs can be downloaded or purchased easily and for a reasonable price. Once you pay the corresponding fee for a design, it can be yours and you are free to use it any way you want. These designs are highly compatible with Adobe software programs, so we suggest you use those for editing these posters. For the best output, make sure to use high quality poster paper when printing to bring out the best and most vibrant colors of the design.